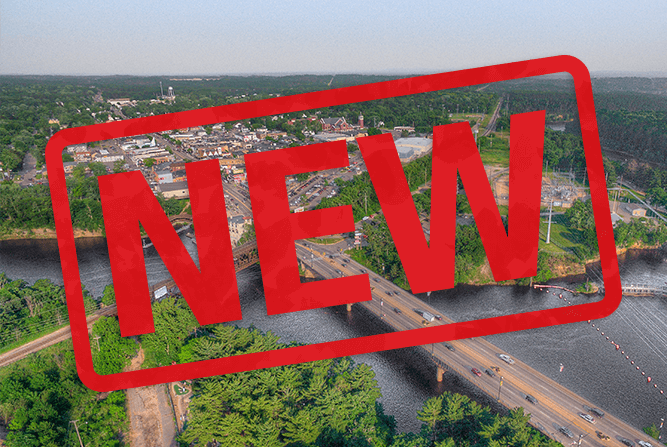 Summer is just around the corner and there are so many new things to be excited about in the Dells this season. Here is a list of some of the new restaurants and entertainment options for you and your family this season! 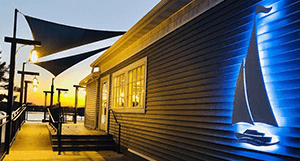 The VUE is a new restaurant located inside the River Inn hotel, with a one-of-a-kind, 180-degree view overlooking the breathtaking Upper Dells of the Wisconsin River. 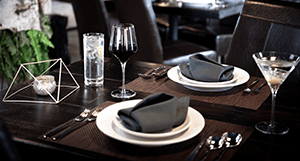 Every aspect of this restaurant has been painstakingly thought out, from the decor to the menu. Located within walking distance from downtown Wisconsin Dells. There are a number of fantastic places to have a nice glass (or bottle) of wine in the Dells. There are none quite like The Kilbourn Cork which is a Wisconsin Dells Premium Wine Bar opening this Spring. Located a block and a half from Broadway, which is one of the main strips in the Dells. 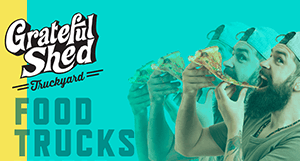 Wisconsin’s first indoor food truckyard, offering food that is wildly unique and insanely delicious. Cozy up to a fire, listen to live music, or play some yard games all while enjoying food that is crave-able, drink that is savored not guzzled, and atmosphere that defies the ordinary. Located within walking distance of many Dells hotels. This family-friendly venue is sure to be a new Wisconsin Dells hot spot! Boasting the fact that they are one of the only Wisconsin Dells restaurants located on Lake Delton. This fact made even better by their huge deck for outdoor summer seating. If you’re cruising the lake by boat, they even have docks for you to pull up to enjoy their modern American cuisine and handcrafted cocktails. A perfect spot for the whole family! Opening Spring 2019. 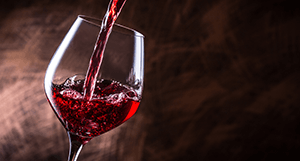 A modern, boutique winery offering wines from local Wisconsin vineyards, as well as traditional varietals from the best vineyards throughout the Midwest. 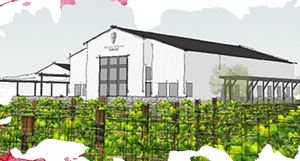 Located minutes from Devil’s Lake State Park which makes this winery the perfect stop after, or before, a day at the park. When you enter the Hologate, and don your VR headset, you are transported into a new dimension making you forget that you’re even in the Dells. 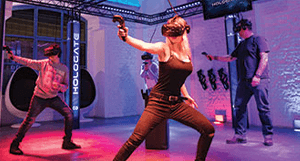 Whether you’re dancing your way across the galaxy or trying to survive a zombie outbreak, you are immediately surrounded by a new world thanks to this immersive technology! Step up to explore new worlds or claim the top score! 100,000 Square Feet of family fun and excitement! Along with bowling, mini golf, ropes courses, and go-carts, new this year is their very own Max Foolocity. This whirly ride spins ALL around while boosting you 50 feet in the air and then dropping you back down. Can handle that kind of spin? 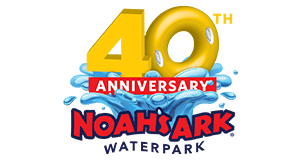 The waterpark that is Recognized as Americas’s largest is celebrating 40 years! As if the largest waterpark wasn’t enough, they are sure to do something special this season. Even on a non-anniversary year, there is plenty to do whether you want to chill or find a thrill. 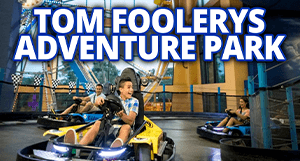 Located in the heart of Wisconsin Dells, close to many hotels and restaurants – you can’t beat one of the best destinations in town for family-friendly fun and excitement. 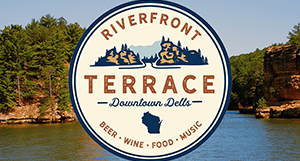 The Riverfront Terrace is an outdoor entertainment space located in the heart of Wisconsin Dells serving food, beer, and wine. Starting in early June through Labor Day there will be live music every day. They’ll also be hosting a farmers’ market every Sunday this summer, starting in early June, as well as a few night markets! Check out their Facebook page for a full list of events. This post may be updated with additional details when they become available.